International architects and planners are invited to join Cuban experts and local communities for a one week Charrette 9 - 15 March 2008 to develop ideas for the development of the waterfront sector of the Old Havana Harbor, and for Casablanca, a small marine town across from Old Havana with 5,000 inhabitants, founded in 1780. 1.1 Elaborate ideas for the development of the waterfront sector of both The Harbor and Casablanca. 1.2 Promote and highlight the importance of the harbor for the new image of Havana and for social and cultural integration. 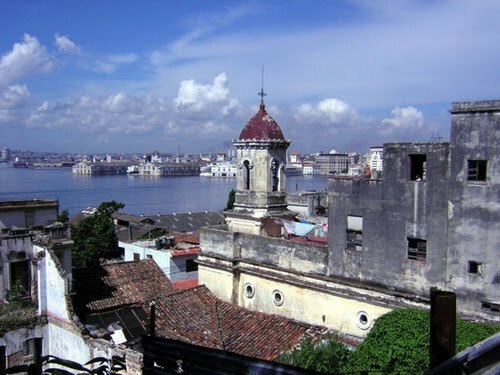 1.3 Evaluate the benefits of the transformation of the Harbor for the future of Havana in economical and urban terms. 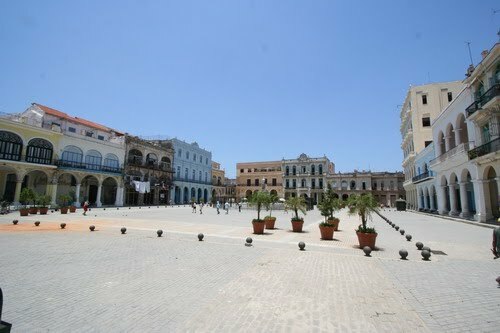 1.4 Improve the quality of life of the inhabitants of Casablanca, preserving its Mediterranean image and getting advantage of its privilege site. 1.5 Propose the increase of urban open space, housing and commerce in the area and its impact at city level. 1.6 Turn the current industrial character of the harbor into a sport and recreation one..
7 Reshape the urban landscape of an area currently dilapidated and lacking character and identity increasing the green areas. 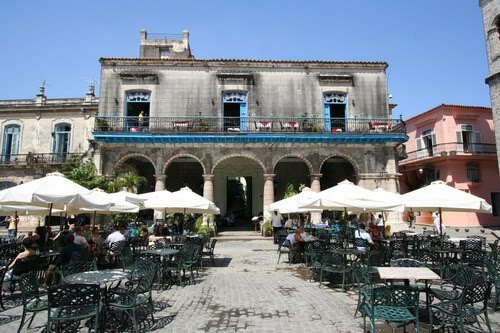 1.8 Reinforce the cultural identity of the City of Havana. 1.9 Propose the sanitation of the bay as a necessary condition and departure point to achieve from an ecological perspective. Day 2 Monday March 10th Morning. Work Session. Tour of the harbor site and lecture about the city, its history and evolution by Arch.Orestes del Castillo. Office of the Historian of the City of Havana. Lunch at La Divina Pastora Restaurant by one of the most important fortresses on the bay. Afternoon Session. Day 3 Tuesday March 11th . Morning 9.30 a. m.
Day 4 Wednesday March 12th. Morning. 9.30 a. m.
Day 5 Thursday March 13th. Morning. 9.30 a.m. Studio work of The Harbor and of Casablanca. Day 6 Friday March 14th. Morning. 9.30 a.m.
Day 7 Saturday March 15th. Morning. 9.30 a.m. The Royal Norwegian Embassy will invite all Charrette participants to an evening reception during the Charrette (date to be determined). We are working to arrange an evening reception during the Charrette. 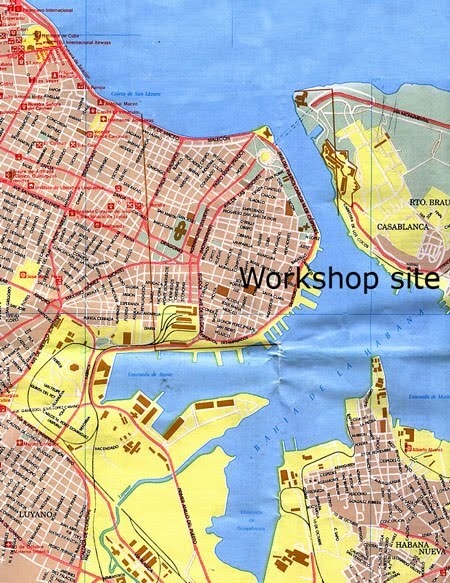 The Charrette workshop can be participated at free of charge, there is no registration fee for the Charrette. The participants will have to organize their travel to and from Cuba, and cover accomodation and meals individually. We can arrange accomodation for 55 USD per night on request. This price is per room, single or double occupancy. Preceding the charrette, we arrange a tour around Cuba. You are welcome to join either the tour or the charrette, or both. For a detailed programme and more information on the tour please click here: 2008 Tour programme. You will need a visa for visiting Cuba, please contact your local Cuban embassy. A tourist visa should be the simplest one to obtain. Your address on Cuba will 21 O Street, Vedado, Havana. Oslo, Norway. Consulting architect with own practice, Moderno AS. Management Group Member of ESUA - European School for Urbanism and Architecture. Board member of INTBAU Scandinavia. Read the Declaration of Havana from a previous workshop.